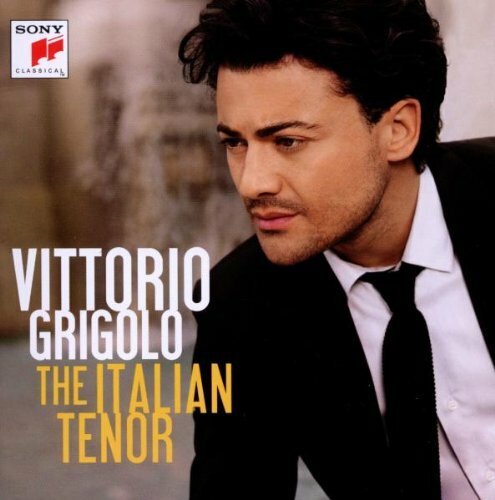 Sony Classical proudly announces its debut release by the highly-acclaimed tenor Vittorio Grigolo. Hailed as one of the finest tenors in recent times, Grigolo’s recording of The Italian Tenor will be available on October 5 and features famous arias and lesser known discoveries. Also, on October 16, Grigolo makes his highly anticipated debut at the Metropolitan Opera as Rodolfo in La Bohème. Born in Tuscany, Grigolo began his career as a young boy performing as a soloist in the celebrated Sistine Chapel Choir. His distinctive voice attracted the praise of the great Luciano Pavarotti when, at age thirteen, he starred alongside him as the Pastorello in Tosca at the Rome Opera. He went on to be the youngest tenor ever to debut at the legendary La Scala, Milan and has conquered many of the world’s great opera houses since, appearing with the finest artists and conductors of our day. Grigolo made his Chicago debut in 2008 starring in a tribute to Pavarotti in front of thousands at Grant Park. He made his Washington, D.C. debut in 2009 sharing the stage with Renée Fleming in a lauded production of Lucrezia Borgia conducted by Plácido Domingo. Recently, he triumphed in his debut at Royal Opera House, Covent Garden in Massenet’s Manon. The Italian Tenor presents arias from three great operatic composers - Gaetano Donizetti, Giuseppe Verdi and Giacomo Puccini. These include Donizetti's “Una furtiva lagrima” (L'Elisir d'Amore) which was made famous by Enrico Caruso, whose famous performance of the aria paved the way for the opera's return to the repertoire after years of neglect. Equally as beautiful is “Spirto gentil” (La Favorita) in which the lead character laments the loss of his love forever.